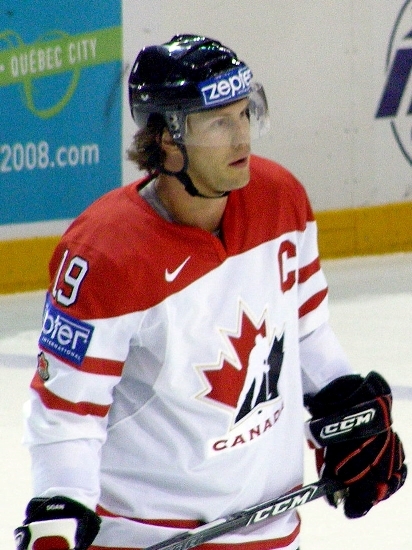 The news in Canada around April 2007 had been convulsed with the issue of Shane Doan, then the captain of the Canadian team at the World Hockey championships. He was accused of uttering an anti-French slur years before that – and therefore was supposedly unfit to be the captain of the team. Fortunately, massive public resistance put the efforts of various mostly Quebec Liberal and Bloc Quebecois politicians on ice, so to speak. There are a number of matters that this so-called controversy from ten years ago raises. First of all, the dredging up of a “politically-incorrect” incident from years before that, to try to deny a highly talented person some official position or honour, smacks of societies like Stalin’s Soviet Union. Secondly, even if Shane had shouted something egregiously offensive, it would be the height of absurdity to punish him for it. In very physical, contact sports, all kinds of things are said in the heat of the moment – indeed in the heat of battle. It is absurd in itself to try to introduce a blanket ban on so-called “offensive speech” in the context of such often ferocious, competitive sports. A more realistic view of human nature would see such verbalizations as simply part of an often brutal, competitive struggle. It cannot be denied that hard competitive struggle is one of main focuses, and points of viewer attraction, of high-level, high-contact, professional team sports. As far as the alleged insult to French-Canadians, the best riposte to Shane Doan – had he actually said something offensive, which in this case is questionable in itself -- would have been for a Montreal Canadiens player to shout out some quick counter-jibe. By the end of the game, everything would be happily forgotten. The way that Bloc Quebecois leader Gilles Duceppe responded to the issue was to treat (or pretend to treat) it as a matter of utmost seriousness – indeed a real threat to Quebec. By this, he just showed the increasing incoherence, lack of authenticity, and attenuation of Quebecois nationalism at that time. In an earlier article, it had been suggested that Quebecois nationalism, especially as represented by the Parti Quebecois led by Andre Boisclair, was to a large extent morphing into an “anti-nationalist nationalism.” To the extent that the spokespersons of Quebecois nationalism avoid serious discussion of many of the real issues confronting Quebec and the authentic continuation and flourishing of their nation, they have to latch on to pseudo-issues that serve as surrogates for real debate and national affirmation. In the Shane Doan case, the mainspring of Gilles Duceppe’s combativeness on the issue was probably the feeling that -- because of the ever greater attention being paid to visible minorities and Aboriginal peoples in Canada -- Quebec was not getting enough “respect” and “air-time” in the current-day Canadian system. So he had to throw a fit over something. There is little doubt that some of the highest and most exalted moments of human achievement and experience have been accomplished through some form of reflective nationalism. At the same time, for any nation to function as a nation in the world, there must be an element of considerable self-regard, which may sometimes operate through both rather unsavoury language and methods. As far as language goes, insults among groups of various ethnicities occur in almost any society. Certainly, the Quebecois themselves are not especially friendly towards les anglais, either in their language or their methods. Some have argued that the English of Montreal were made to feel extremely uncomfortable in Quebec after the 1960s, which persuaded many of them to leave a city where some of their families had been for generations. For the truly confident, robust nationalist, an insult such as that allegedly made by Shane Doan, in the context of an inflamed sports contest, would have had absolutely zero register. Indeed, a person who made a big issue over it could be seen as highly peevish and petulant. The confident nationalist is most concerned with the concrete continuation and flourishing of his or her nation in the world. To that end, he especially desires a large constellation of social and cultural infrastructures that effectively “advocate” on behalf of his nation and uphold his nation’s cultural sovereignty -- in a world that can frequently be considerably unfriendly or even hostile. Those typically Western “codes against hate-speech” – which are also, so frequently, very “asymmetrically” applied -- are not of much interest to him. The irony today is that many Western nations have had their national infrastructures “captured” by various ideologies that range from indifference to outright hostility to their nation’s continuation and flourishing. This was far more the case in English-speaking Canada than in Quebec, where Quebecois nationalism was able to build up considerable infrastructural strength that was – despite certain elements of social liberalism -- permeated to a lesser extent by “hypermodernism” and self-hating. In an earlier article, it had been suggested that the current-day Canadian “official” culture, as far as the putatively Canadian element in it goes, could be seen as a failed culture. It has cut itself off from its traditional roots, and can only exist with massive government subsidies. It has almost no register outside of a few hyper-urban “arts cliques”. Nevertheless, the sport of hockey in Canada could be seen as one of the last, truly unifying elements of the country. To a large extent, that rough-and-tumble sport is a cultural and psychological substitute for the Canadian military, which has been so heavily gutted in the last five decades. Indeed, hockey might perhaps be among the last places of refuge for a more traditional Canada. Certain elements of Shane Doan’s biography, such as his earnest Christian faith, made him all the more inviting a target for certain politicians. It was certainly cheering to see so much of the Canadian public rallying to his side. But unfortunately, as far as other issues where hockey is not especially involved, the Canadian public usually remains somnolent.